White Diamond Details: 816 round brilliant cut white diamonds, of F color, and VS2 clarity, weighing 12.24 carats total. Fancy Yellow Diamond Details: 692 round cut fancy yellow diamonds, weighing 6.17 carats total. Fancy Colored Stone Details: 17 fancy multi colored stones of different shapes, weighing 5.09 carats total. 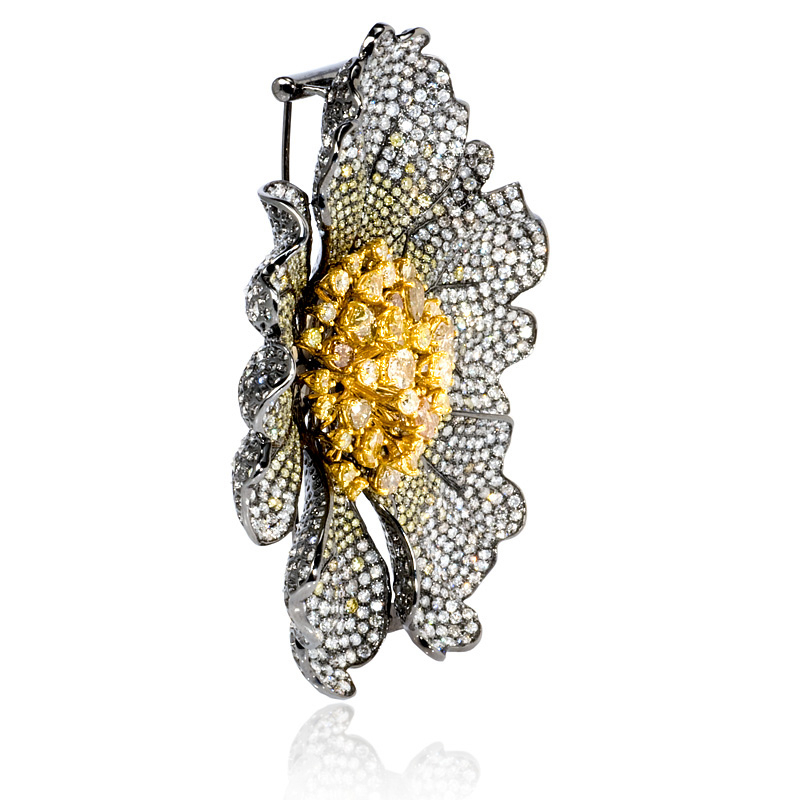 Pin details: 18k white and yellow gold with black rhodium. Measurements: 3 inches in length. 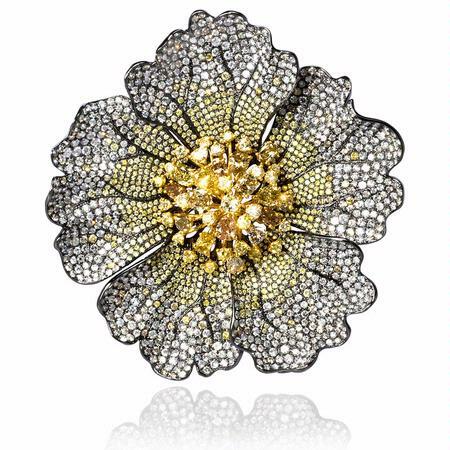 This lovely 18k white and yellow gold with black rhodium flower brooch pin, contains 816 round brilliant cut white diamonds, of F color, and VS2 clarity, weighing 12.24 carats total, 692 round cut fancy yellow diamonds, weighing 6.17 carats total with 17 fancy multi colored stones of different shapes, weighing 5.09 carats total. The diamond flower brooch measures 3 inches in length.